So you’ve written your masterpiece! Great! Now what? You’ve got to get people to read it of course! The age-old adage of ‘Never judge a book by its cover’ is still true, but it means that great books may have a lousy cover or lousy books may have a great cover. But if no one ever reads your book, then what does it matter? The point is that a cover is the first thing that a potential reader notices about your newly minted treasure. If it doesn’t grab their attention then chances are they’ll never discover just how great your book is. I’ve gotten many compliments on my book’s cover, but really the credit should all go to the artist, Andres Cortez, who was able to take my written vision and transfer it to a digital work of art. Now, I could just recommend that any aspiring author seeking a stellar book cover contact him directly, he is a pleasure to work with, but chances are you may be seeking a different art style (although I still recommend contacting him, he is capable of many styles). So here is my secret for getting a book cover worthy of all the hard work you invested in your book and that you will absolutely love. Step 1) Click here: DesignCrowd.com. Designcrowd is a website where you can host a contest for all your design needs, including book covers. What makes it so awesome is that you don’t work with just one artist, but rather you are working with an entire crowd of talented artists all competing for first place in your art contest! Hiring one artist and hoping for the best is NOT a very good idea. Getting 10+ book cover submissions to choose from is the way to go. 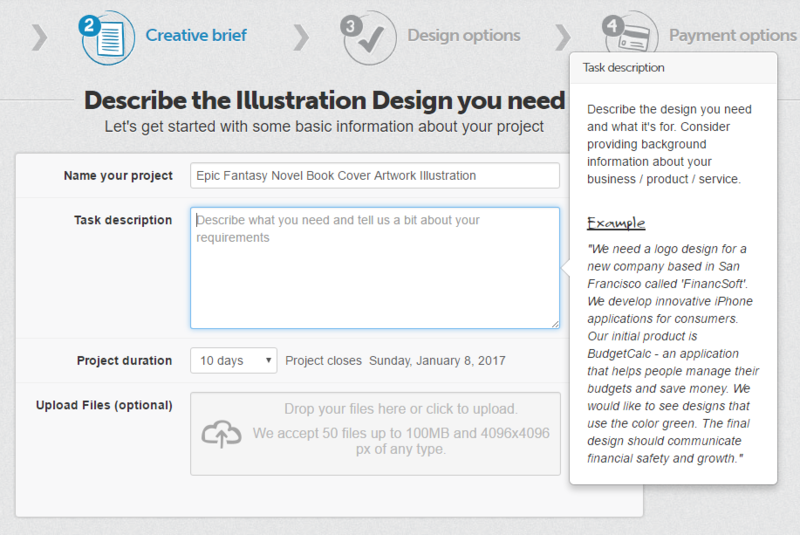 Step 3) Fill in the required project information. It is mostly self explanatory. Make your project title sound exciting to entice artists to want to work on your project. Insider tip: The first few lines of your Project Description will show up on the project listings page when designers are browsing for projects, so make sure your first sentence accurately describes your project and makes it sound fun to work on. Be as detailed as possible in the project description. I STRONGLY recommend that you upload a few files of example book covers from books that you would like your cover to look like. As an author, you should have no problem being descriptive with words! Paint a picture with words so that the artist can bring that picture to life! Step 4) Set your budget. As you would expect, the higher your budget the more likely you’ll get quality artists working on your book cover. If you are curious how much I paid for my book cover, it was $365. Keep in mind that the artist only receives a portion of this amount, so be respectful and don’t set your budget too low otherwise you won’t get very many entries. Insider Tip: Be sure to use a discount code! Search and ye shall find. Step 5) Submit your project. YES, you will have to pay upfront. But, the artist isn’t actually paid until you approve the final artwork submission and accept the art files. It is really no risk. 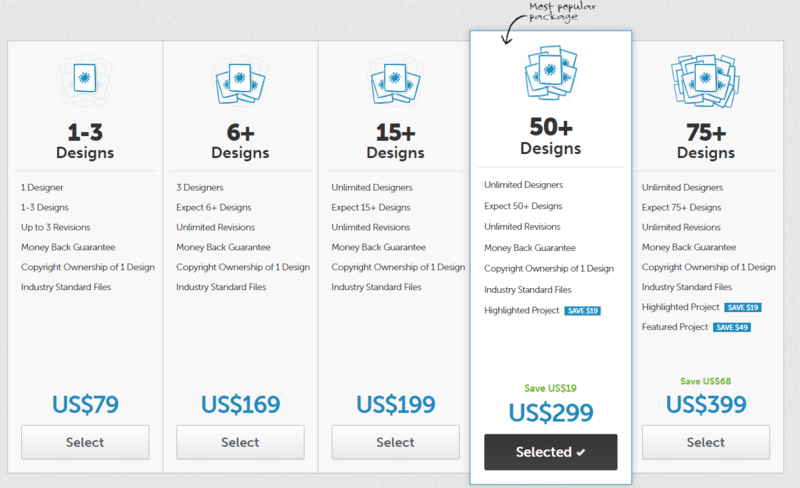 You get your money back if you don’t get any designs you are satisfied with. Yes, I have requested my money back before from a project and yes I got it back without any hassle. Step 6) Wait for your first submissions to come in. It will take a few days. You’ll also find that more submissions come in as you approach the deadline. This is because artists are busy getting submissions in on contests that are about to close. Step 7) Provide feedback to submissions. This cannot be under-stated! PROVIDE FEEDBACK! Artists want to win your contest! Tell them what to change to increase their odds. Update your project description as necessary if submissions are lacking something important. Step 8) Select a winner! WOW! Look at all these amazing book covers you have to choose from?! Aren’t you glad you didn’t just hire one artist?! Now you get to select the best one and you own it! It is all yours! If you aren’t satisfied then you can extend the deadline (it would also help to increase the budget) to allow for more entries to come in. If, after all said and done, you still aren’t 100% satisfied with any entries then cancel the project and get your money back. So there’s the secret to how I got my amazing book cover. 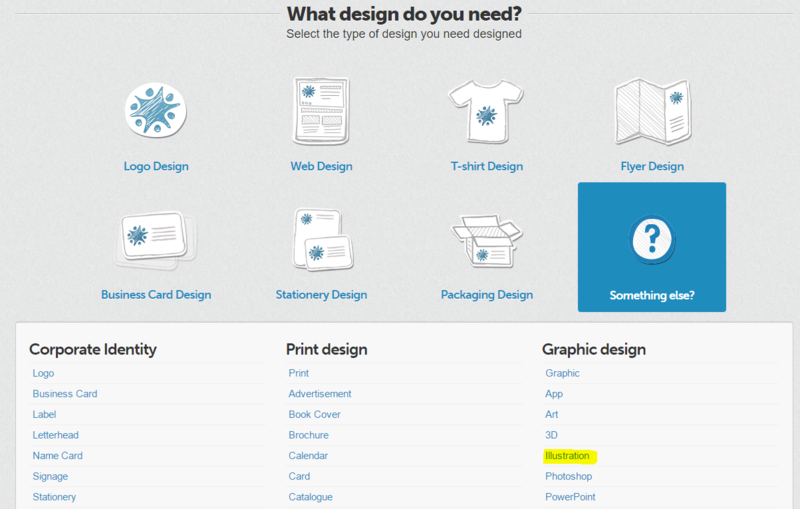 Click here Designcrowd.com to get started on yours!